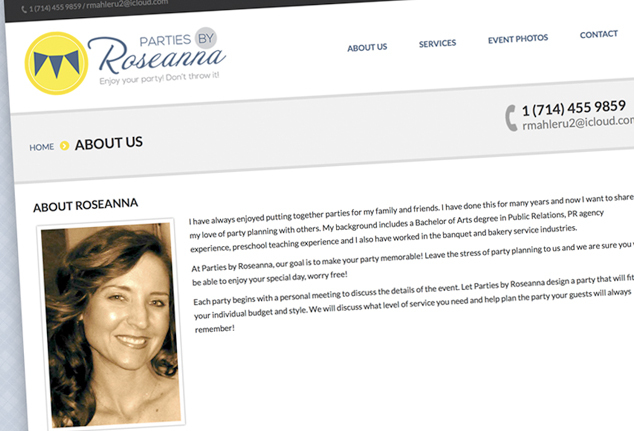 Partiesbyroseanna.com is a responsive design purchased from themeforest.net and modified to meet the client's needs. Its pages are coded using HTML5, CSS3 and JQuery. 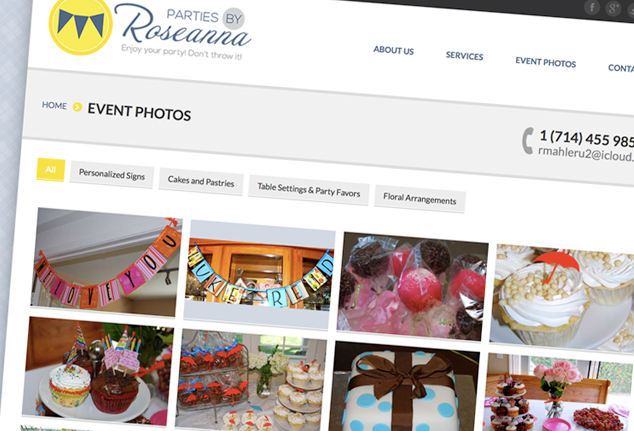 The event photos page utilizes filterable columns and the contact form was scripted using AJAX and PHP sendmail script. 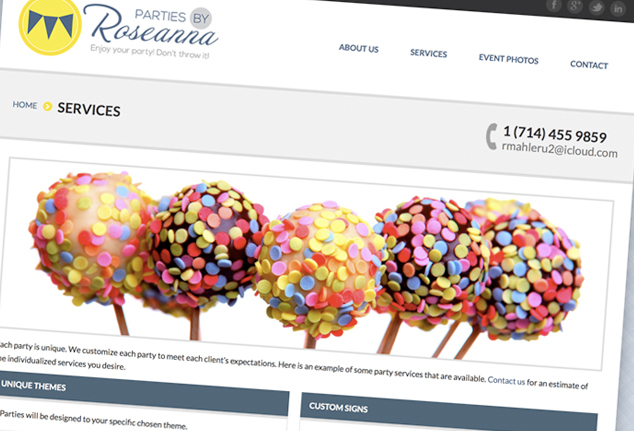 At Parties by Roseanna, their goal is to make your party memorable! 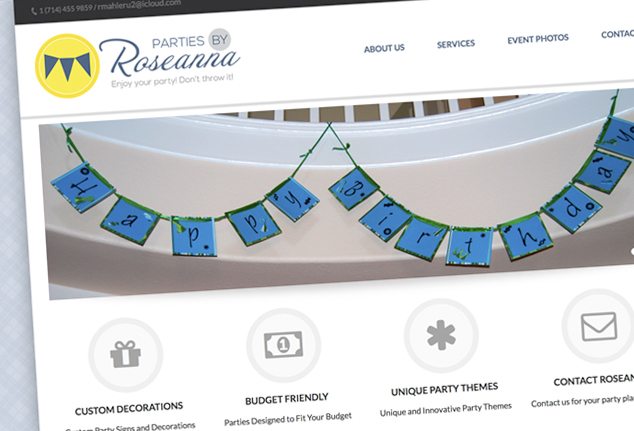 Leave the stress of party planning to them and they are sure you will be able to enjoy your special day, worry free!